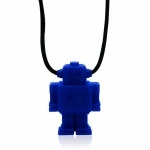 Jellystone Juniors is our “kids” of silicone jewellery range. Designed for children 3 years plus. It includes large chunky pendants that are secured with our practical break-away clasp. 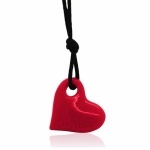 Jellystone Junior pendants come with cords that break apart, not fall apart. Active Children - waterproof & easily cleaned. Little Chewers - a safe alternative to chewing on hair & clothes. Children On The Spectrum - non-toxic BPA free sensory experience.